Luol Deng and Derrick Rose will not participate in tonight's match agaist the HEAT but rumors say it may be located both on the team bench in Chicago for the third game in the series with the Miami Heat. Their goal was initially to stand up after qualifying for the Nets. However, the Bulls traveled to Miami, followed the plan from their coach, they won the first match of the semi-final series of the East and took the home court advantage of the champions Heat. 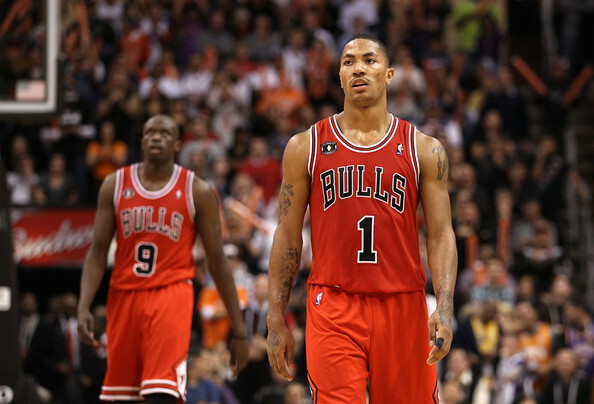 They succeeded largely thanks to Robinson, Butler, Noah, while the Luol Deng and Derrick Rose remained out of action. The last two will not play tonight or in the second game, but rumors say it is likely to see them on the team bench in Chicago in the third race when the series returned to the United Center!